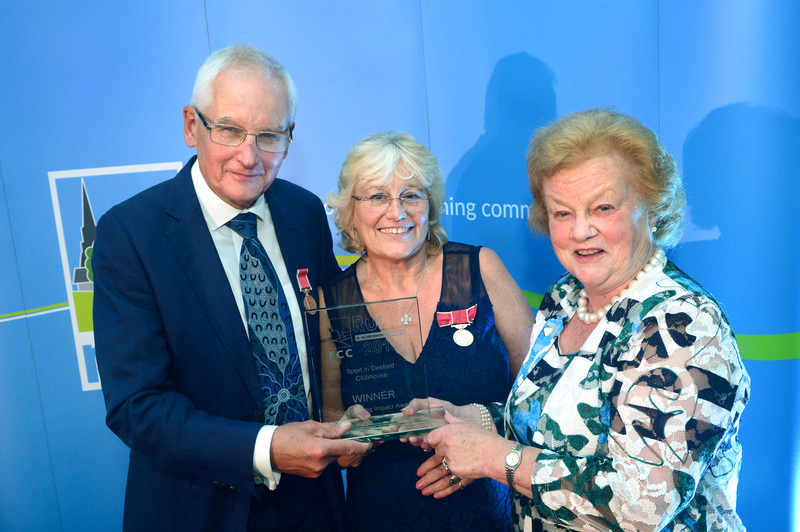 Stewart was awarded our 2018 Unsung Hero Award for his tireless voluntary efforts to benefit people with life limiting conditions across North West Leicestershire. It was Stewarts initiative to start the charity ‘Hospice Hope’, when the Sue Rider Hospice closed in 2002. His ongoing efforts and relentless determination over the last 16 years have resulted in ‘Hope House’ a day centre opened in 2017, and three support cafes in local villages in Leicestershire all providing support respite, advice and complementary therapy free of charge to people with life limiting conditions and their carers. Stewart always finds time to visit the support cafes bringing cheer and happiness to the guests, their carers and volunteers. Watch the video below to hear about this category and see Danielle Garrity from Smallman & Son announce Stewart as our Unsung Hero for 2018. In 2013 Langham undertook a community project to create a Neighbourhood Plan. Nearly every person in the community played a part in the process (some small, some big) to develop a collective vision for the community setting out how village should develop over the next twenty years. In addition to engaging local people proactively in the planning system, the project has created close and long-lasting relationships within the village which have added to the plethora groups, activities and events ongoing within this strong and forward-thinking community. Watch the video below to hear about all of our 2018 category finalists including our winners from the Langham Neighbourhood Plan. Created by converting and extending the ‘Cottage’ in Ashby de la Zouch the newly refurbished St Helen’s Community Heritage Centre won our 2018 Best Community Building Award. The facility offers several modern and comfortable meeting and event spaces, is fully wheelchair accessible and has a large enclosed landscaped garden. The centre functions as a multi-purpose building providing meeting space for local community and church groups, acting as an office base for the Parish Church and the Heritage Centre and is available for private hire to host events and parties. Formally opened by the Bishop of Leicester in late 2017 the centre is used by a wide cross section of the local community including over 20 different organisations and groups. Watch the short video below to find out more about this category and see Alan Kafoor from Norris and Fisher announce St Helen's Community Heritage Centre as our 2018 Best Community Building. The recipient of our 2018 Rural Service Award, Rutland Neighbourhood Watch (RNHW) is a network of approximately 100 autonomous groups of varying size, whose joint mission is ‘to Unite the community against crime’. Driven by the fact that Neighbourhood Watch had become dated and lacked relevance to modern technology-based lifestyles two retired volunteers worked for a year with 'The App Office' to develop a smartphone and tablet app providing everyone (not just NHW members) with a ‘one stop shop’ for Rutland living. Available free from Google and Apple app stores the app provides police alerts, local news, traffic and weather updates, crime prevention information, and details of local services (Council, Doctors, Dentists, Vets, Transport etc). Remaining true to its origins, the app also provides over 1300 users with fast links to the Emergency Services and support services for victims of crime (Victim Support, Domestic Violence, Childline, etc). Watch the video below to see Ivan Annibal of Rose Regeneration Engine, founders of the Social Value Engine, announce Rutland Neighbourhood Watch as our 2018 category winners. Our 2018 Rural Business Award winner was s Shepherd & Maycock (NFU Mutal Market Harborough). Since taking on the business in 2013, Tom and Linzie have grown it to a £4.1 million company employing 7 local members of staff. The business provides a personal face to face service offering insurance products, financial services and health and safety and risk management support to local farms and rural businesses. Earlier this year the business moved into the centre of Market Harborough becoming more accessible and creating a better work environment. The business proactively engages in the local community including hosting a food & drink station at the Harborough Festival of Cycling. Watch the video below to hear about all of our 2018 category finalists including our winners from Shepherd & Maycock. Awarded 2018 Best Community Library, Hathern Community Library was established in 2016. The volunteer run charity has 7 trustees and an impressive 33 volunteers who work on a rota basis to manage and run the library. The library’s slogan is ‘Small Library, Big Ideas’ and the volunteer’s intention is to make their small community library into a big community hub for all sorts of activities and information to benefit their local community. Using money raised locally through grants and other funding activity, volunteers have been able to make alterations to the building giving it a timely facelift including new entrance doors, removal of internal partitions to create a large light open space, a new toilet facility and kitchen area, and a new reception. Watch the video below to hear about all of our category finalists and see Hathern Community Library announced as our 2018 winner by Tara Bailiss from B Audio Visual. Awarded an Outstanding Impact Award for their Famous Fifty Exhibition. To get people engaged in their community the Hero Project CIC share tools and facilitate fun community exhibitions. Last year the Project organised an exhibition to commemorate the lives of 50 local men who went to war in WWI and shared their story with over 3000 visitors and twice on BBC East Midlands Today. The exhibition was created with the support of The Hero Project Thursday Crew (20 local volunteers), Michael Kendrick (author of 50 Good Men and True), the British Legion, Coalville Heritage Society, Century of Stories plus 50 other local groups. 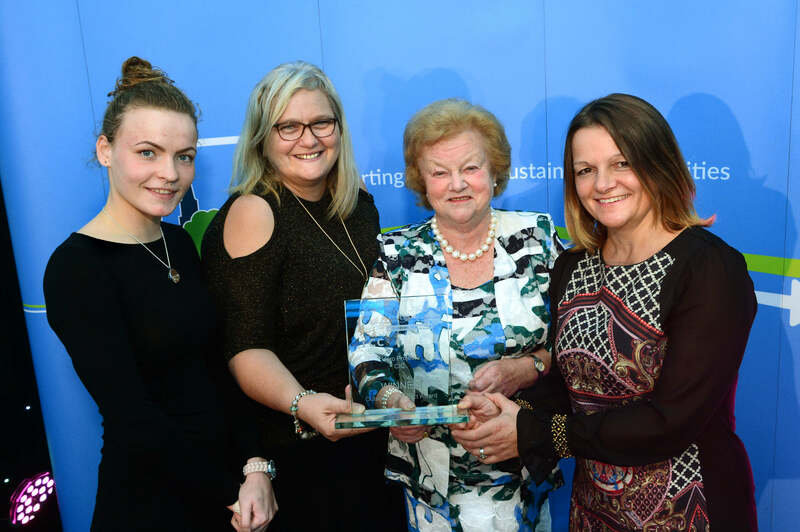 Given an Outstanding Impact Award to recognise the quality and impact of their rural facility. Run by volunteers, SiD provides high quality facilities for 7 major sports and many other recreational activities and is used by over 900 people from the local community each week. The facility provides a base for the local Scouts, Cubs and Beavers plus around 20 other local classes and groups. SiD has a strong inclusive ethos providing several clubs and activities for vulnerable groups within the community and receiving GP referrals and Heartsmart patients from across the Hinckley and Bosworth Borough. 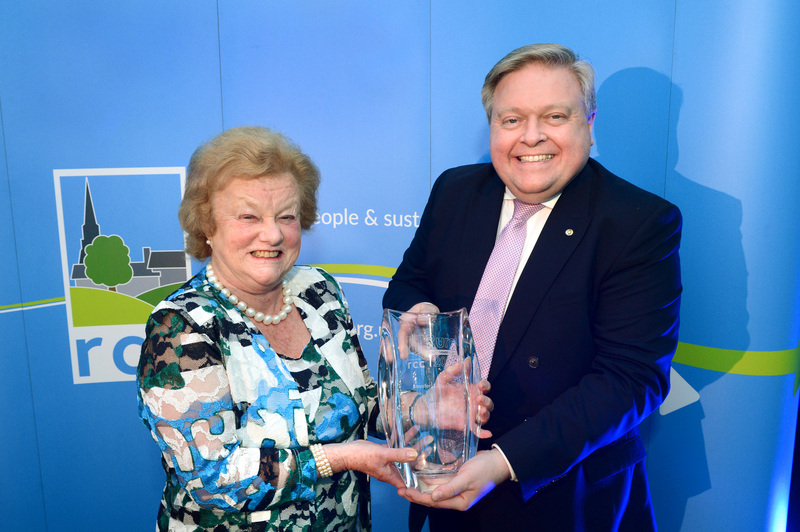 Our 2018 Lifetime Achievement Award was presented to Jennifer, Lady Gretton to recognise her unique and longstanding contribution to rural life across Leicestershire and Rutland. Starting within her own community, Lady Gretton took on the running of the Stapleford Estate near Melton Mowbray following the death of her husband in 1989, restored the Stapleford Miniature Railway with the help of volunteers, and instigated the Stapleford Steam Rally in 1995. She has also been a Member of the Committee of Somerby Parochial Church Council for the last 27 years. Lady Gretton is a member of the Leicestershire and Rutland Country Land and Business Association and has served on the organisations Environment and Water Committee. In 1994 she was appointed as President of the Rural Community Council (Leicestershire and Rutland) and in 1999 President of LOROS (the Leicestershire and Rutland Organisation for the Relief of Suffering), roles she is continues to be committed to up to this day. In 2003 Lady Gretton was appointed as Lord Lieutenant of Leicestershire and held the role as the official representative of Her Majesty the Queen for Leicestershire and City of Leicester for just over 15 years until her official retirement earlier this year. Watch the video below to see Jennifer, Lady Gretton accept our 2018 Lifetime Achievement Award.